3 Is HGH safe for bodybuilding? 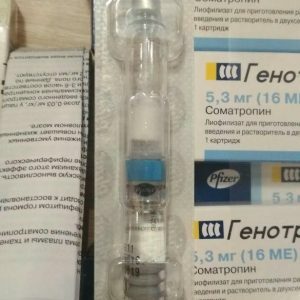 5 Is HGH safe for libido? 7 Can I take HGH? Yes, HGH is safe, if you don’t have problems with health and if your dosage is low (less than 10-15 IU). First of all, HGH is not a toxic substance; it is simply a 191-amino acid chain, the peptide hormone which is secreted by the pituitary. Despite its name, growth hormone, HGH responsible for many processes in the human body, not only for the linear growth of bones. High level of growth hormone helps improve your posture and form body composition with strong muscles and low amount of fat. HGH also helps the immune system to keep working well and the cartilage to stay healthy. So, as you can see, HGH is safe for your body in normal amounts, but it can be dangerous if it is exogenous. Let’s talk about HGH risks and how to avoid them. Diabetes. 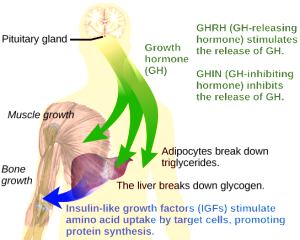 Growth hormone increases the level of blood sugar, which makes the pancreas produce more insulin to decrease this level. With time, if you take huge doses of HGH without exogenous insulin or are genetically inclined to diabetes, you can get this disease. So, before taking HGH, pass the blood sugar test or the glucose tolerance test to find out if you have problems with the pancreas. Cancer development. Growth hormone, just like steroids, can accelerate development of a tumor if it already exists. However, HGH can’t cause a new one. Suppression of the thyroid gland. While this side effect is less dangerous than the risk of diabetes, the thyroid gland can be suppressed if you take HGH for a long time. Growth hormone can be used for several purposes, such as to lose fat, gain muscles, become younger, or grow taller. 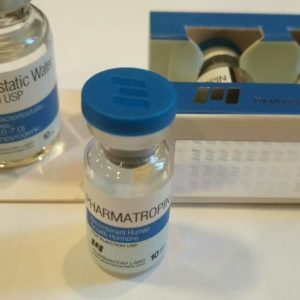 HGH is used for bodybuilding much more often than for anti-aging purpose or any other one, so you should know all HGH side effects and ways to avoid them. You can read the article about this. Briefly, if you are a healthy young man, you can use HGH at a dosage of 4-10 IU. If you want to increase this dosage, you need to add exogenous insulin to help your pancreas. You can add insulin at lower dosages too if you want to make your cycle more efficient. Ronald Klatz, an expert in HGH for anti-aging argues that an optimal dosage for anti-aging is 1-3 IU/ day for 6 months. Then it requires the same rest period. For 6 month of use, the appearance changes greatly as the skin becomes elastic, wrinkles disappear, nails and hair improve as well. A person looks 10 years younger. Is HGH safe for libido? 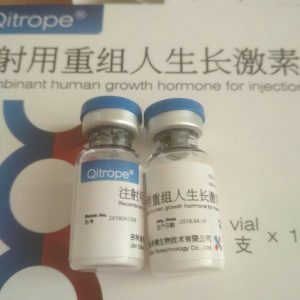 The myth that growth hormone affects libido is connected with another myth that HGH is a steroid. I have prepared an article about HGH and steroids in this regard. 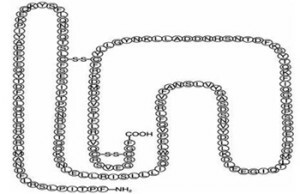 They are completely different in the structure, origin, and functions. Growth hormone doesn’t suppress your own testosterone, so it is completely safe for libido. HGH isn’t connected with testosterone, so it can’t induce hair loss. Conversely, HGH improves the state of hair because it accelerates the synthesis of collagen. Don’t use HGH if you have the high level of blood sugar and don’t use it if you have relatives with diabetes. You shouldn’t use HGH or steroids if you have cancer.